WHY IS THIS VILLAGE DIFFERENT FROM ALL OTHER VILLAGES? 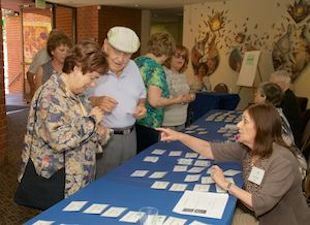 ChaiVillageLA is the first synagogue-based village in the country, a bold partnership of two cutting-edge Reform synagogues--Temple Emanuel of Beverly Hills and Temple Isaiah--to challenge their congregants to rethink their paradigms of aging and empower them to use their accumulated experience, talents, wisdom and optimism to build a community of respect, support, caring and, above all, joy. 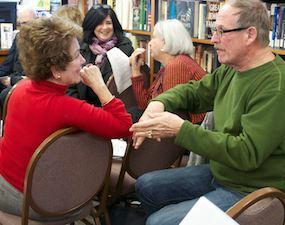 As a synagogue-based village, ChaiVillageLA bases its goals, governance, programs and services on values that emerge out of the Jewish experience. Being of service to others is a way of giving back for all the kindness we have received in our lives. "Who is wise? The one who learns from everyone." As a community, we open ourselves to learn from one another and from what we each have to teach. The borders of the community do not isolate or insulate us from the larger world around us. By modeling and consulting, we hope to help others create the healthy environments they need for living and aging in America. No one is denied the services of ChaiVillageLA because of lack of money; and every member is encouraged to contribute to the health of the larger society. One of the cornerstones of a Jewish community is attending to those who are ill. Attentive companionship helps speed the healing process. All ChaiVillageLA members are asked to contribute to the life of the community by providing services to other members or assisting in village governance or programming. One of the greatest ills of aging is isolation. ChaiVillageLA helps promote physical and mental health by expanding members' social capital. Everyone is created in the image of God; everyone deserves dignity and respect. Aging in one's community means more than "Aging in Place." It means living in a caring, multi-generational community that knows something about who you are and where you have come from. Human creativity is a renewable resource.